The day has finally dawned on the first new North American edition of Moebius work in a generation. 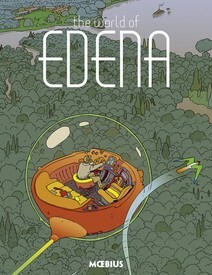 The World of Edena is the first in a series of deluxe hardcover volumes that will reintroduce the great French master of comics (bande dessinée) to readers on this side of the Atlantic. Collecting all the Edena short stories in a deluxe, 344 page, full color, hardcover edition, The World of Edena includes “Upon a Star,” “Gardens of Edena,” “The Goddess,” “Stel,” and “Sra.” Although several had been translated into English in the 1980s, this will be the first time “Sra” has been available to English-language audiences. 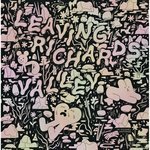 Dark Horse has done a nice job here: the black lines are crsip and clear, and the colors are full and vibrant. Moebius is one the most influential science fiction artists in history, and anyone who is a fan of science fiction comics and films who encounters his work here for the first time will likely find the work feeling familiar for the simple reason that it has informed the work of so many of the artists already encountered, from Miyazaki, Jodorowsky and Ridley Scott to Brandon Graham, Simon Roy, James Stokoe, Jesse Jacobs and countless others, Moebius has led the way. Get ready for an experience!